Elizabeth Taylor mixed cottage cheese and sour cream; Madonna subsisted on 'sea vegetables;' and Marilyn Monroe drank raw eggs whipped with warm milk. Where there is a Hollywood starlet offering nutritional advice, there is a diet Rebecca Harrington is willing to try. Facing a harrowing mix of fainting spells, pimples, and salmonella, Harrington tracks down illegal haggis to imitate Pippa Middleton, paces her apartment until the wee hours drinking ten Diet Cokes à la Karl Lagerfeld, and attempts something forbiddingly known as the 'Salt Water Flush' to channel her inner Beyoncé. Rebecca Harrington risks kitchen fires and mysterious face rashes, all in the name of diet journalism. Taking cues from noted beauty icons like Posh Spice (alkaline! ), Dolly Parton (Velveeta! ), Sophia Loren (pasta!) and Cameron Diaz (savory oatmeal! 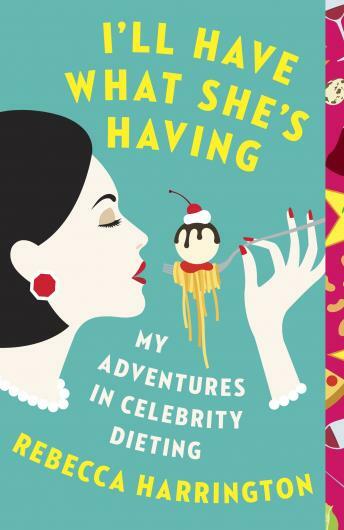 ), I'll Have What She's Having is completely surprising, occasionally unappetizing, and always outrageously funny.